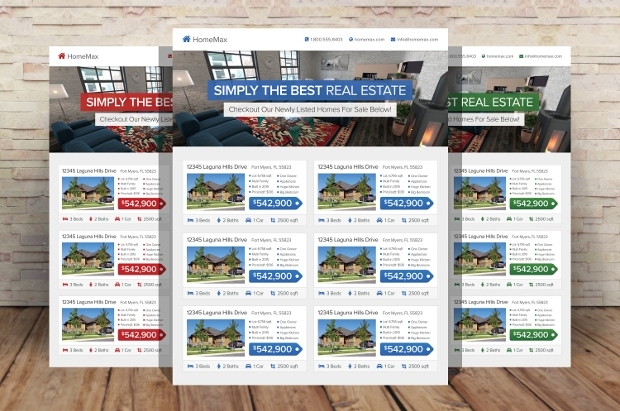 Real estate, like any other business, thrives on visibility. 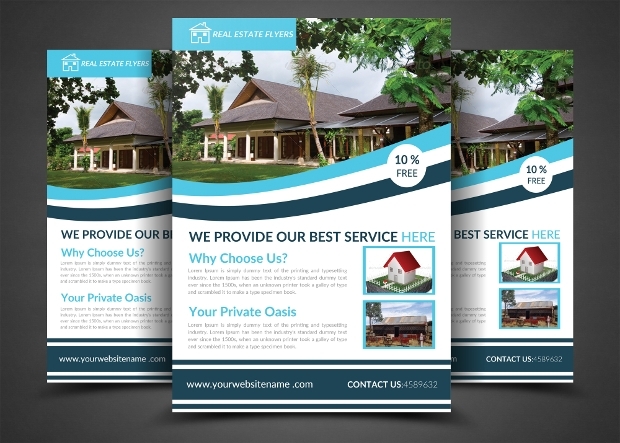 Real estate firms, dealers and brokers work hard to extend their client base and market standing. 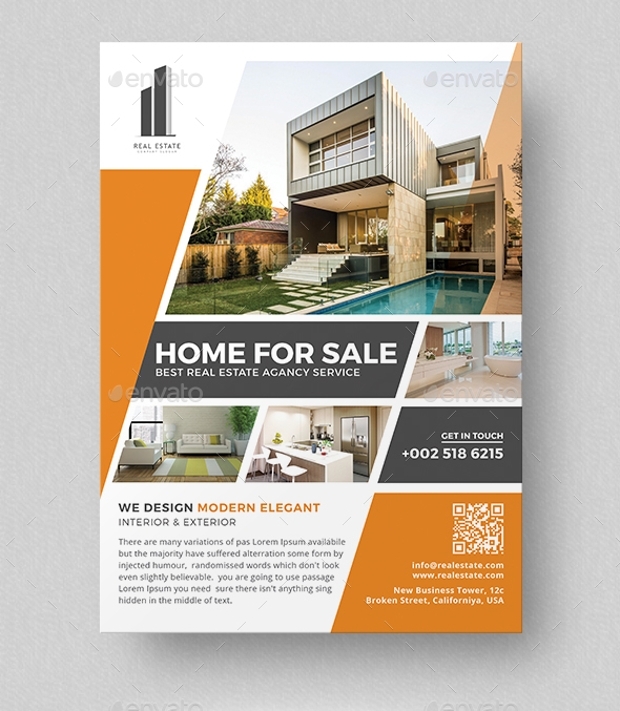 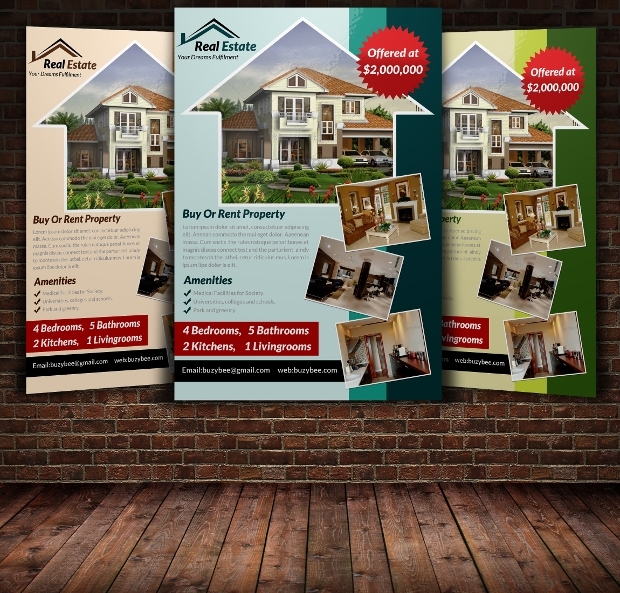 One of the best ways to achieve publicity is by distributing or sending out stylish and well-designed real estate flyers. 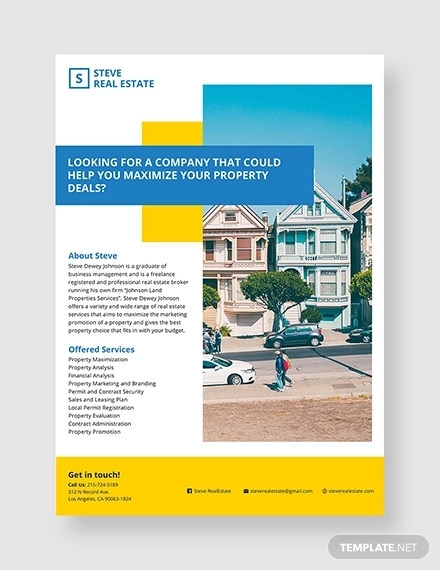 A real estate is an important tool for business as it gives potential clients a glimpse into the workings of the real estate establishment which is advertised in the flyer. 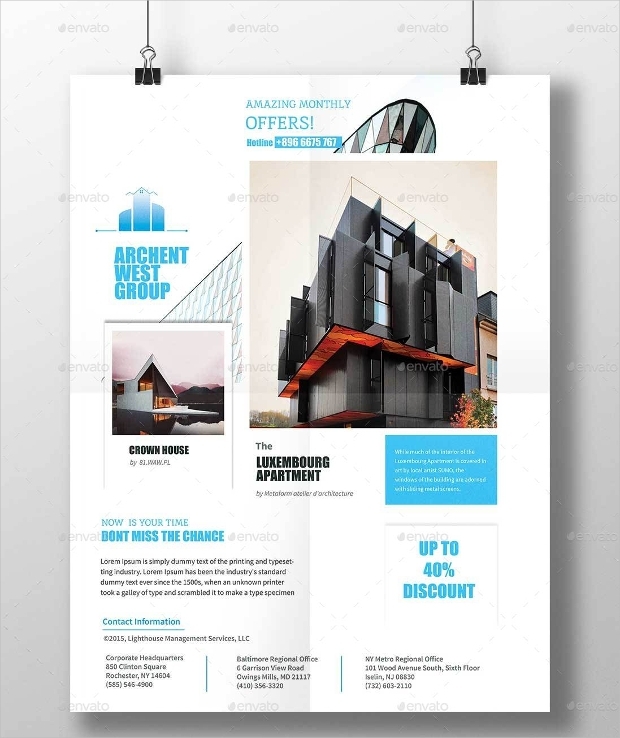 The flyer also speaks about what makes the company or the individual associated with the company a trustworthy source to do business or deals with, and lastly and most imperatively, a word or two about the company’s products and services. 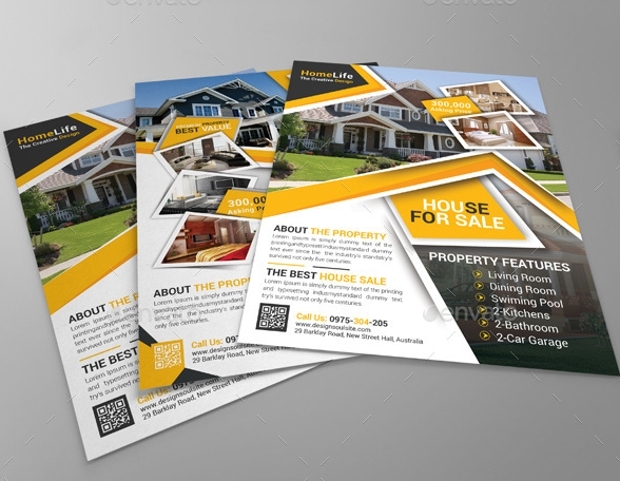 Flyer designing has turned out to become an important aspect for improving business. 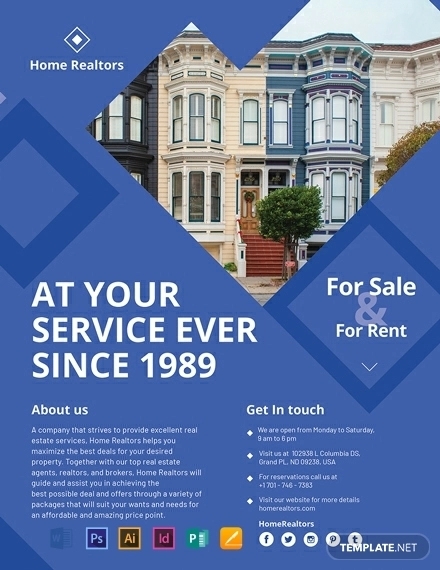 The reason is simple. 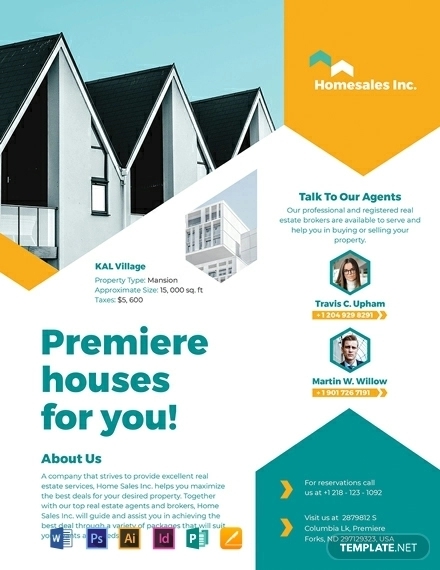 Well-crafted flyers are visually interesting. 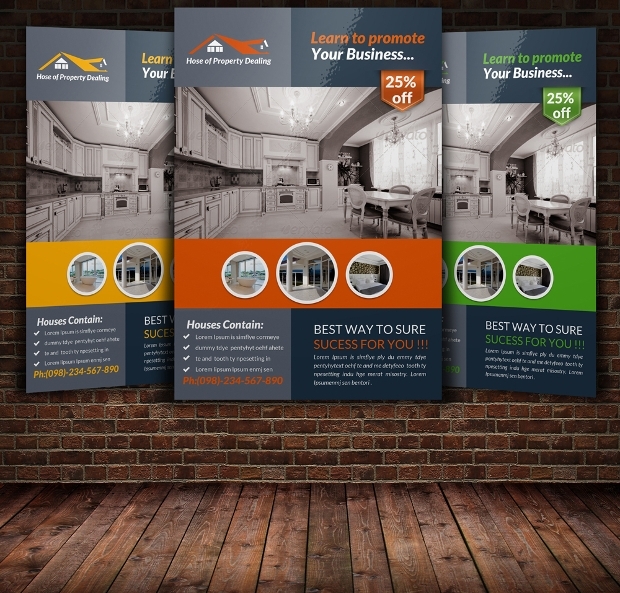 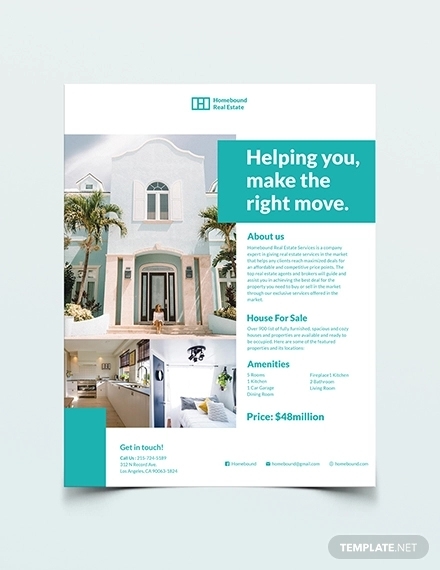 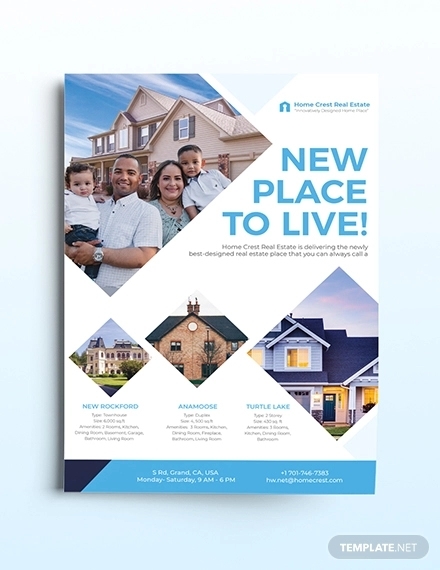 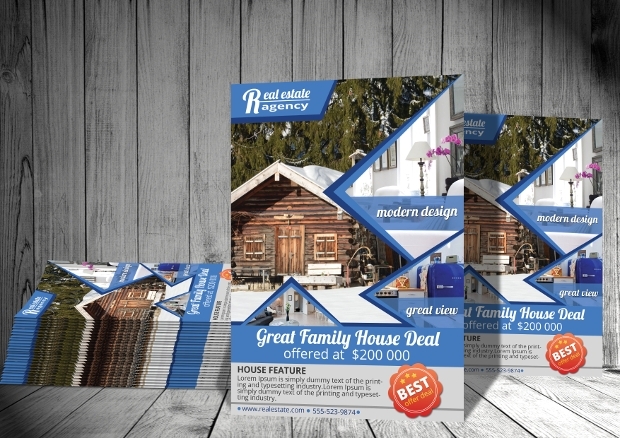 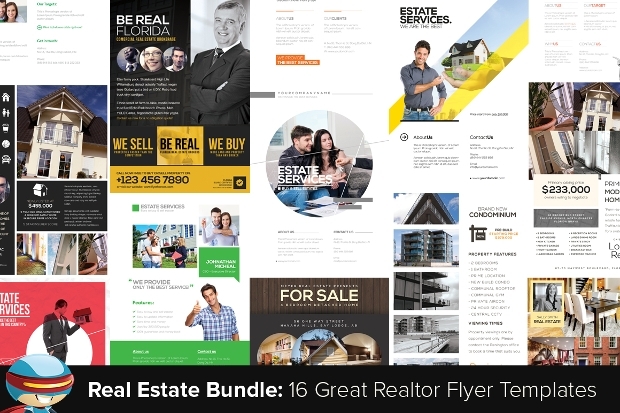 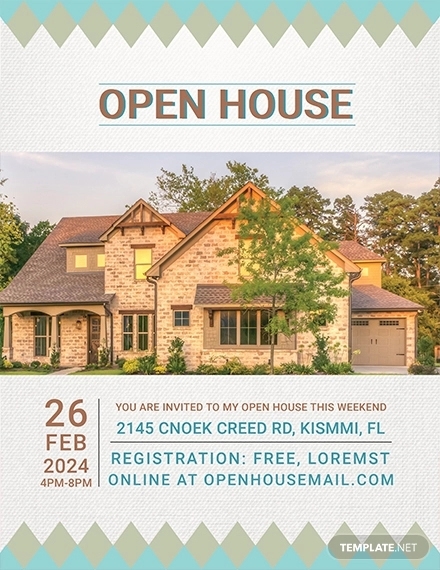 Spruced up with the right kind of subject matter and great design, customers are going to be instantly attracted to the real estate flyer and become interested in reading what it contains. 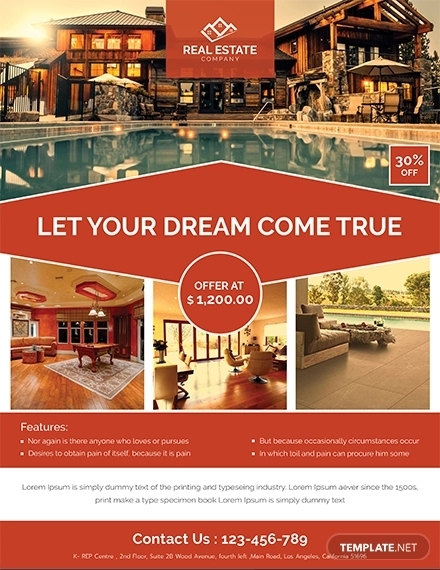 This is a big win for any real estate outlet. 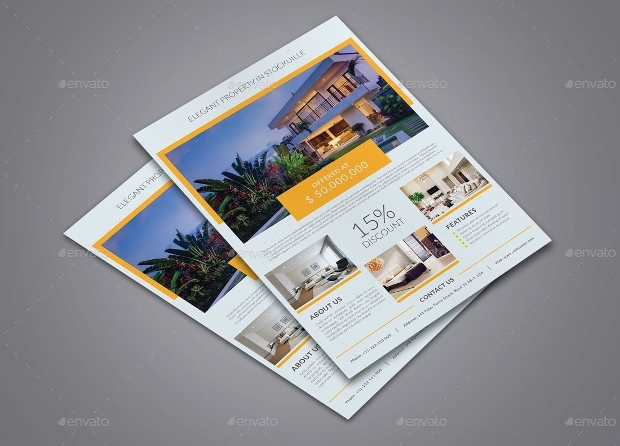 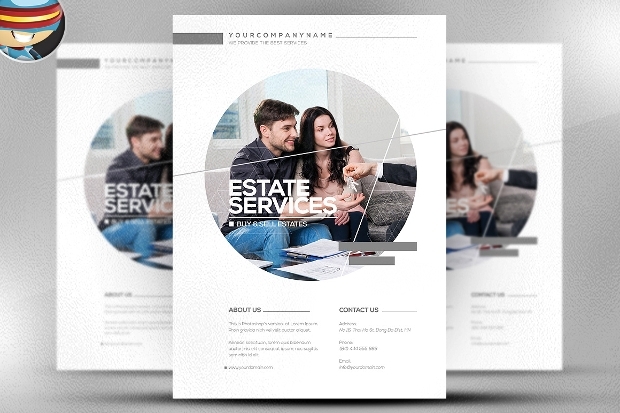 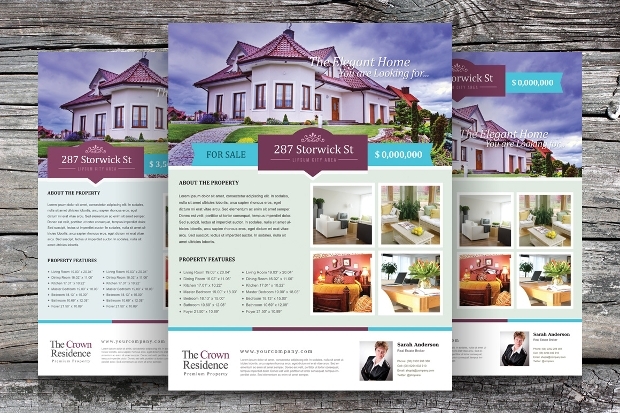 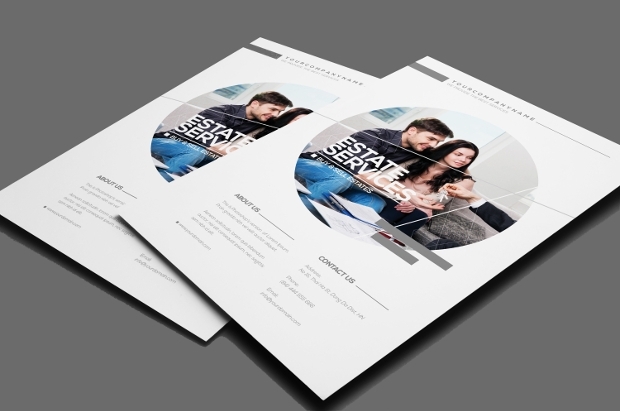 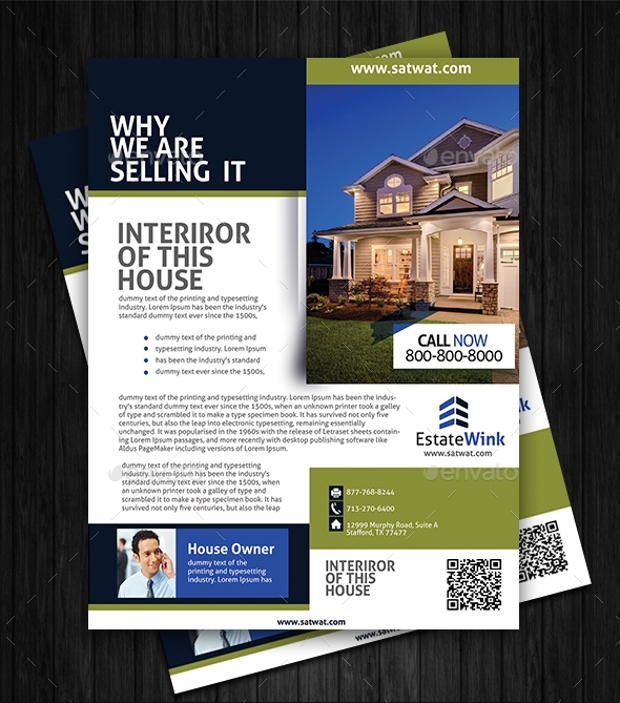 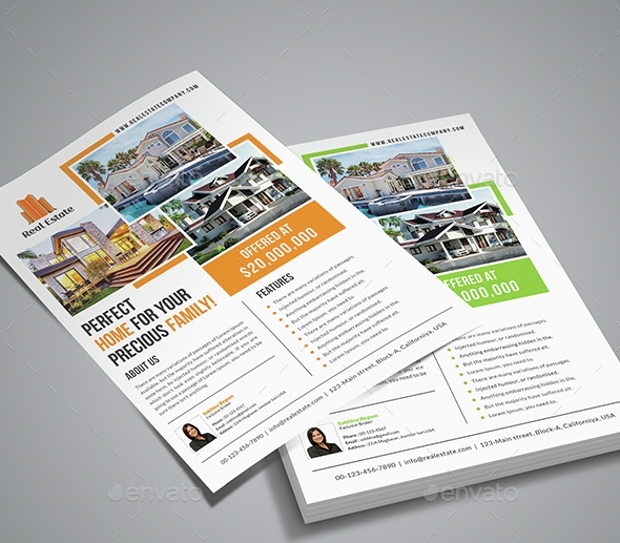 Real estate flyer designs have witnessed an upgraded in recent times. 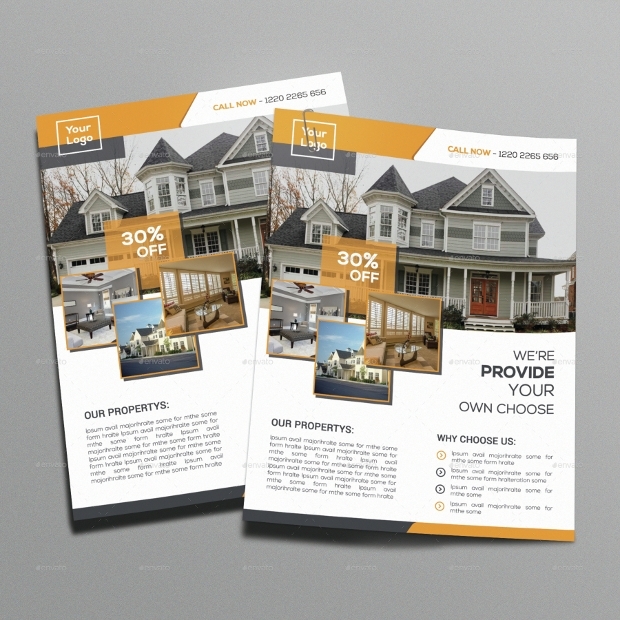 Property-selling is a hard-as-nails endeavor; however with the right kind of marketing and promotional tools, the selling bit could become very easy. 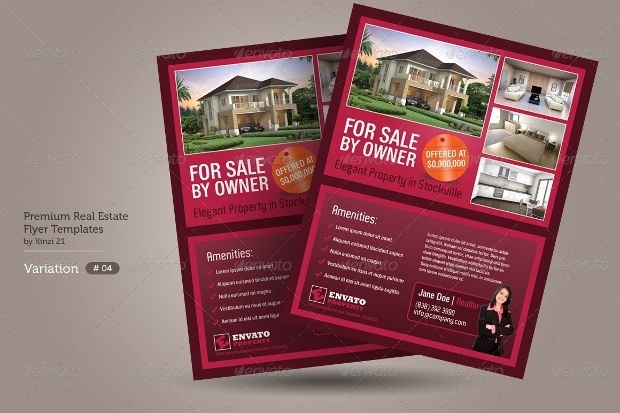 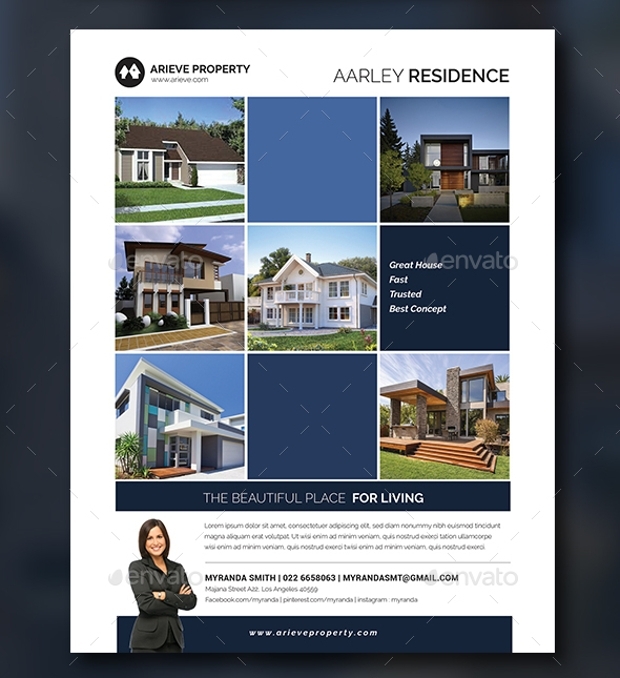 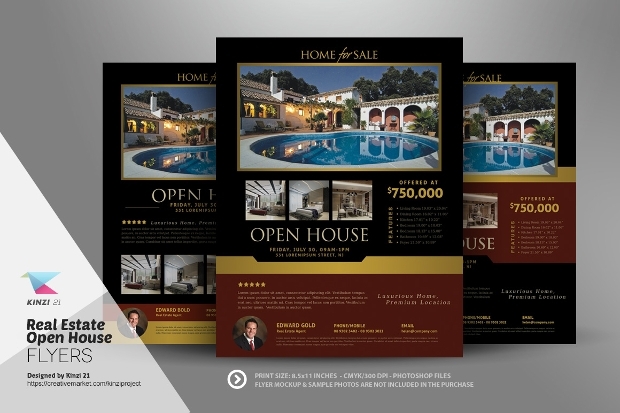 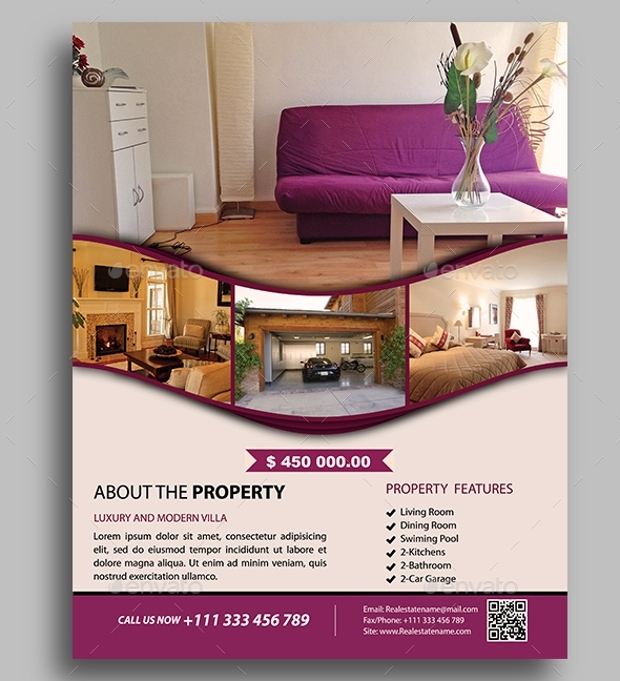 For any real estate flyer to work, the design layout better be in PSD format which can be easily customized and edited. 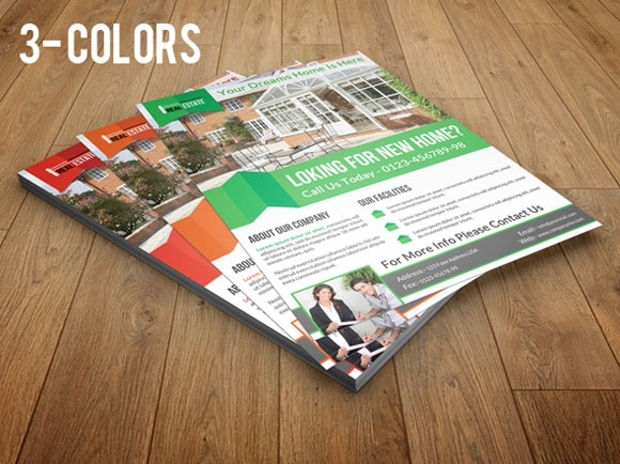 The flyers can be usefully distributed in all kinds of events and fairs for best results!